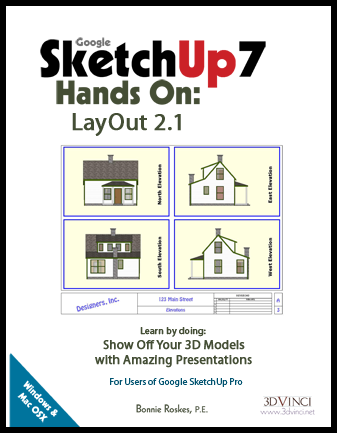 For Google SketchUp Pro users: your comprehensive guide to LayOut! This book will take you from start to finish with LayOut 2.1. Detailed, step-by-step exercises will guide you every step of the way, from exporting your model into a presentation, to working with scenes, layers and styles, creating templates, clipping objects, drawing shapes, creating text and labels, working with scrapbooks, and applying hatches and fills.